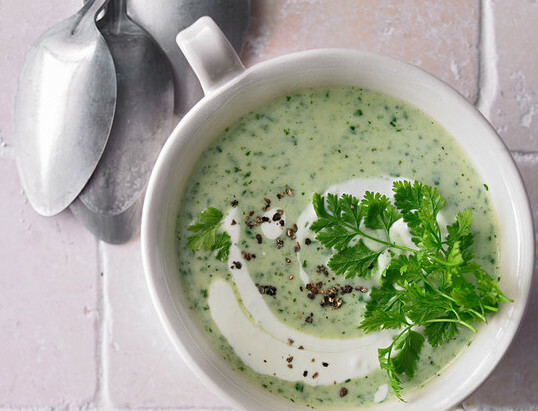 It's a delicious soup with different herbs such as parsley, chives, dill, borage and some more (see in ingredients the herb mix). Happy Cooking! - Peel onions and chop fine. - Heat butter and saute onions until transparent. - Dust with flour, add vegetable broth. - Let simmer for 15 min. - Prepare herbs, chop roughly. - Add herbs and creme fraiche to soup. - With a stick mixer puree soup. - Add salt, pepper and lemon juice to taste.